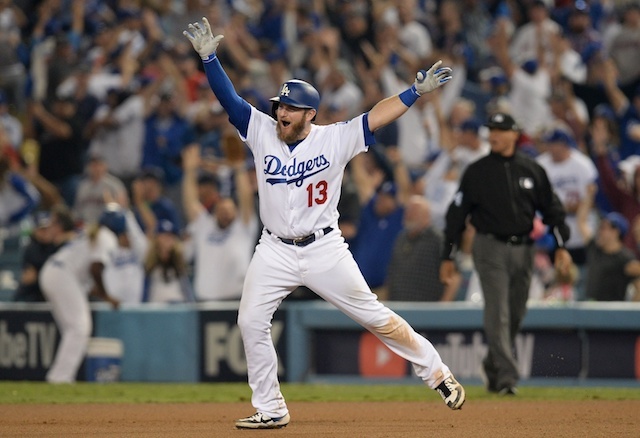 What was a thriller for one side and heartbreak for the other, the Los Angeles Dodgers defeated the Boston Red Sox, 3-2, in 18 innings to cut their World Series deficit to 2-1. 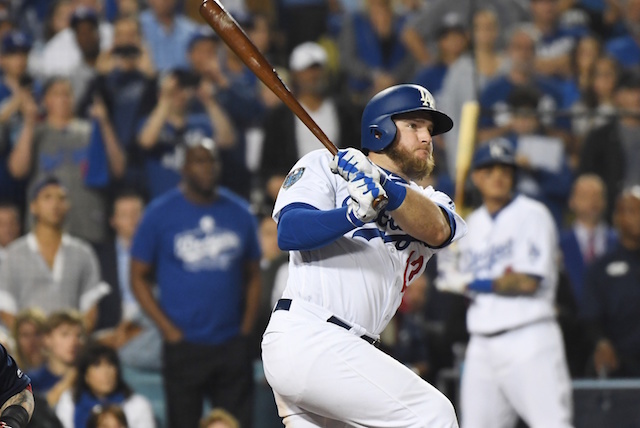 Neither offense could get much going, but Max Muncy ended it on one swing of the bat with a walk-off home run to lead off the 18th inning off Nathan Eovaldi, who was pitching his seventh inning of relief. A stellar outing from Walker Buehler and Joc Pederson’s solo home run held up for seven innings before the Dodgers’ slim lead was lost. Starting their left-handed sluggers didn’t reap a significant change in production, but one swing of the bat by Joc Pederson was enough. He ambushed the first pitch he saw from Rick Porcello for a two-out home run in the third inning. The homer was Pederson’s fourth in the World Series, which is tied for third-most in Dodgers franchise history. Duke Snider (11) and Gil Hodges (5) are the lone Dodgers players with more in the Fall Classic. The one run was all Rick Porcello allowed over 4.2 innings. He held the Dodgers to just three hits and struck out five in the start. One of the hits was a double to Justin Turner immediately after Pederson’s homer. Walker Buehler struck out two but threw 26 pitches in the first inning; 11 of which were fouled off. 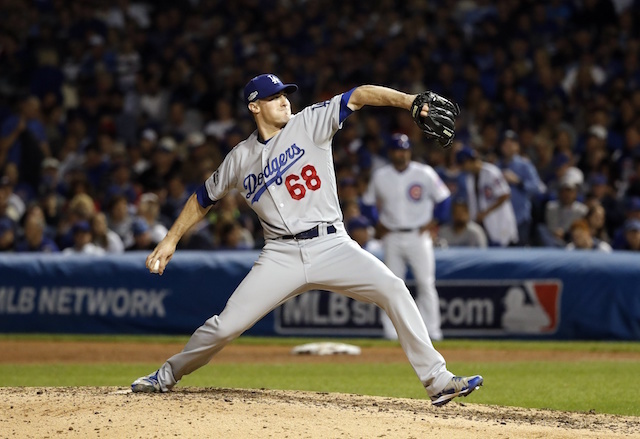 While it suggested the rookie right-hander wasn’t long for the game, Buehler settled in. It began with an efficient 13-pitch second inning. Jackie Bradley Jr.’s infield single to lead off the third was Boston’s first hit. But Bradley ran into an out as he attempted to time Buehler’s pitch. It further stung for the Red Sox as Christian Vazquez singled into center field. Porcello’s sacrifice bunt moved Vazquez into scoring position, where he was stranded. Buehler proceeded to 14 in a row en route to firing seven shutout innings. He punctuated the outing with strikeouts of Mitch Moreland and J.D. Martinez. Buehler’s final pitch of the game, his 108th that is the most of his professional career, was a 98 mph fastball that got by Martinez. For as well as he pitched, the outing was essentially squandered when Kenley Jansen surrendered a game-tying home run to Bradley with two outs in the eighth inning. The Dodgers’ first look at a potential walk-off win came in the bottom of the ninth when Cody Bellinger led off with a flare single against David Price, who was pitching on one day rest. 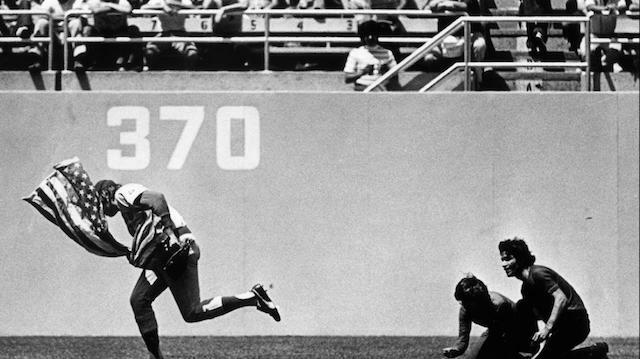 However, Bellinger was picked off for the second out. That was further magnified when Yasmani Grandal worked a walk, which led to Craig Kimbrel taking over. He walked Chris Taylor before retiring pinch-hitter Brian Dozier to end the inning. In a play that may have saved the Dodgers’ season, Bellinger caught a fly ball in center field for the second out and then fired a strike to nail Ian Kinsler at the plate for an inning-ending double play, bailing Pedro Baez out of a situation with runners at the corner. Scott Alexander got ahead 0-2 on Brock Holt, only to wind up issuing a leadoff walk. He moved into scoring position on a wild pitch and scored on Eduardo Nuñez’s chopper up the first-base line. Alexander and Max Muncy each went to field it, leaving Kiké Hernandez to cover the bag in a mad dash. Alexander’s underhand toss got by Hernandez, bringing in Holt. After retiring the Dodgers in order in the 12th, presumed Game 4 starter Nathan Eovaldi was three outs from putting the Dodgers on the brink of elimination. But he too was snake-bit by a leadoff walk and unfortunate events. After a Manny Machado fly out, Bellinger fouled out. Nuñez’s momentum on the catch carried him into the stands, which allowed Muncy to tag. That proved key as Yasiel Puig followed with a chopper up the middle. Kinsler attempted to make a difficult play, only to throw the ball wide of first base, allowing Muncy to score the tying run. Neither team scored for the next four innings after that, until Muncy ended it in the 18th.